Florida Tile and the PTCA (Porcelain Tile Certification Agency) are proud to announce that all of Florida Tile’s porcelain products are Certified Porcelain. This certification is given only to products that meet the ANSI® 137.1 requirements to be a porcelain tile, absorption of less than 0.5%. Florida Tile tests every single tile lines to attain this certification as a service for our customers. The Certified Porcelain program was started in 2008 as a response by the tile industry to products claiming to be porcelain but not meeting the ANSI® requirements. To be certified, each tile must be independently tested by an accredited laboratory, which must forward the results directly to the PTCA. By looking for the Certified Porcelain logo, you can rest assured that you are getting what you paid for, a true porcelain tile. To show our results, the Certified Porcelain Logo appears on Florida Tile’s marketing materials, literature and our website. It will join the GREENGUARD® certification we received in 2007 as a way of having independent verification of our product claims. 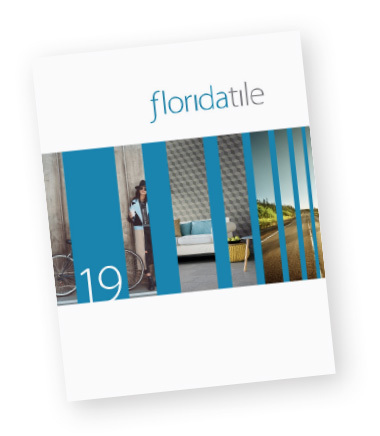 Florida Tile supports the important work of the PTCA and recommends that anyone selecting tile require that their tile be Certified Porcelain. If it isn’t certified, it may not be porcelain.